One to read if you have any interest in summary justice in civil litigation – not simply for those who can tell their rebar from their roof tile. The first instance Scottish judge refused to order enforcement of a £3m adjudication – a form of interim justice -in complex professional negligence proceedings, because to do so would have involved a violation of A1P1 – the right to property. But he ruled against a similar submission based on Article 6 – the right to a fair trial. Construction adjudication was designed to right one form of injustice – the substantial main contractor sitting on a sub-contractor’s money until cash flow made the subbie (say, a small bricklaying company) take a significantly reduced sum because the bank would otherwise have closed him down. But this case is a good example of where that system has simply replaced it with another form of potential injustice. Back to the start. 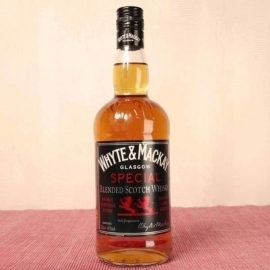 Whyte and Mackay – see the picture for those not fond of a dram – wanted a new bottling plant. They engaged the defender engineers to design its structure. It was built in 2004, and cracking started in 2009. A claim was notified in 2011, and the defenders disputed it. The relevant adjudication started in February 2012. On 2 March 2012 it was referred to the adjudicator. The rules require the adjudicator to decide the case within 28 days, though this was extended by a further 14 days. In the event a hearing took place at the bottling plant on 30 March, and the adjudicator issued his decision on 9 April. That decision is enforceable by a court. Unless the court refuses to enforce it, the aggrieved party must pay up and then seek to recoup the damages in later proceedings. Note, above all else, the extreme timetable – think of deciding any other form of multi-million pound negligence case in 6 weeks from start to finish. The engineers refused to pay, and their challenge was upheld by the judge. But before we see why, we should note what exactly the £3m award consisted of. Almost all was future expense. W&M wanted to carry out interim remedial works in the near future (£574,000) but the lion’s share of the claim was £2.8m being the cost of putting in piled foundations at the end of their lease of the building – 2035/6, yes 22 years hence – and the loss of production caused thereby. Now the courts in both England and Scotland have evolved very strict rules on enforcement of these adjudication decisions. It is no good saying to a court that the adjudicator got it wrong. The best example of this was a case called Bouygues where the adjudicator calculated the gross sum due between the parties but forgot that one party was then entitled to hold on to the 5% retention. Both sides agreed that he was wrong to do so, but the courts still enforced the award – not to do so would lead to endless disputes on enforcement which would rid the whole procedure of its teeth. So the courts have come up with this distinction – one might say a somewhat blurred one – between an adjudicator who comes to the wrong answer (which you cannot challenge) and someone who answers the wrong question (which you can). The reason for these strict rules is important – if you enable this rough and ready procedure to be microscopically lawyered over when it goes before the courts, then everybody will go before the courts – and there is no point in the rough and ready in the first place. The engineers said that to make an award of damages for (essentially) future losses in a summary procedure breached A1P1. It was all very well to come up with rough justice when you were deciding what sums had already become due, but when you were engaging with a mass of hypotheticals over the next 20+ years, what was the point of coming up with an answer that was almost certainly wrong. And a wrong decision could put one party into liquidation or save the other from the same fate: . The A1P1 claim involved a complication from the engineers’ perspective. They were of course insured. So W&M said that the engineers’ “possessions” were not in play. There was then a debate about the extent to which the engineers were financially involved if they paid up on the adjudication decision, given that they had an excess (think first £250 on your car insurance) which they had to bear. The judge decided that he could not assume that the engineers would be unaffected by any enforcement of the decision. Hence, there was an interference with the engineers’ A1P1 rights. Would there be a fair or an unfair balance between the competing interests? Would enforcement require the defenders to bear an individual and excessive burden, keeping in mind that there has been no identification of the parties’ true rights and obligations? In my opinion, the issue can be approached as follows. There was no pressing need for a speedy provisional decision in respect of the pursuers’ large claim based upon the alleged professional negligence of the defenders. The dispute arose long after completion of the contract. By then the premises were leased by the pursuers from a third party. The settlement problem does not and will not prevent the use of the premises for their intended purpose. While relatively modest sums may require to be expended over the next few years by way of inspection and remedial works, no major losses will be incurred for many years to come. In the meantime, the pursuers are considerably in pocket, in the sense that they did not incur the extra costs involved in the piling works. If ultimately the defenders are successful, there is no guarantee that the defenders will recoup any monies paid to the pursuers, and there is no provision for state compensation for any such loss. Given the very particular circumstances of this case, to enforce this award would not be justifiable as a proportionate measure in pursuit of a legitimate aim. It would not strike a fair balance between protection of the defenders’ fundamental rights and the protection of any public interest reasons for the interference. This was equally interesting, though a breach was not established. Article 6(1) only applies to a “determination” of civil rights and obligations, so W&M’s point was that there was no such determination. The decision was entirely provisional and could be set aside as and when the full dispute was heard. The judge accepted this, though it gave him significant pause for thought in the light of the decision of the Grand Chamber of the ECtHR in Micalef v. Malta. This was a storm in a Maltese teacup about whether one neighbour could hang out washing over the other’s courtyard. From such small beginnings come important cases. C got an interim injunction. The Court said that it had re-thought its old caselaw. Where an interim measure could be considered effectively to determine the civil right, Article 6(1) would be applicable. This applied to the circumstances in which the Maltese interim injunction was obtained. The judge rejected the argument on the facts. An adjudicator’s decision is expressly provisional, and hence does not “effectively” determine the rights in question. The judge did not enforce the decision on another ground. The engineers had argued before the adjudicator that W&M could not prove any loss, because W&M had edited out of the specification piling of other parts of the factory, for costs-saving reasons. So, went the argument, had the engineers recommended piling for the rest of the factory in the first place (which they didn’t) W&M would have similarly ignored those recommendations. If this argument was right, end of claim. But not a whisper in the adjudicator’s decision on this important issue. Again the courts have been very sparing in allowing such challenges to succeed. Adjudicators have to work against extraordinary timescales, and expecting their decisions to read like those of judges after a 4 week trial is just unrealistic. But not responding to this one offended against the principles of natural justice. Nor did the adjudicator address a further point, which was the claim assumed that £1 paid in 2035 was worth £1 now – surely not, because you have 22 years to make money with your pound if you get it now. The case is a salutary reminder that some laudable attempts to do justice quickly and cheaply end up wreaking significant injustice on the loser. In many circumstances, if the first decision-maker gets it wrong, you can appeal. But in our onward rush towards swift and cheap justice, we need to keep our eyes on a rather different goal. Many cases can be sorted summarily but the right case cannot be hurried, because, if you do, you misunderstand it and someone loses horribly. Babies and bathwater come to mind. The interesting question is just how wide this decision goes. Its main thrust is that there is no rush to enforce a claim which is all about future loss. But that itself is an important subcategory of these claims. Quite often parties have not done remedial works before the matter first comes before a decision-maker. But watch out for attempts to argue that summary justice more generally needs to be wary of offending against A1P1.